IF YOU HAVE NO EXPERIENCE YOU SPEND 5 MINUTES TO UNDERSTAND HOW IT WORKS. 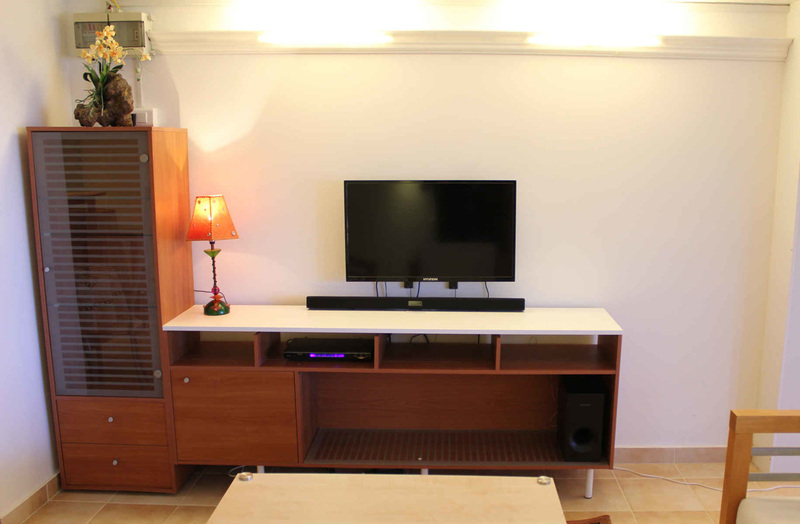 There are often two or more different ways to connect audio-video devices. All work but some provide better sound or image quality . The below information is kept simple on purpose for everyone to understand what these cables are used for. 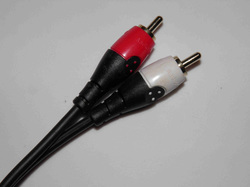 Modern audio-video systems could have no RCA connections at all and use instead HDMI and optical ports. Most time the below cables are supplied with any audio or video device you buy. The RCA connector is a coaxial connector that is simply pushed into its socket with your bare hand. The Red and White colors are associated to Audio while the Yellow is used for Video. There are no physical differences between the different colors, this is only to allow users plug the wires correctly. The below cable is for audio and video. The Red and White connectors are for audio signal and the Yellow one for video signal. ​This is an audio stereo cable. The Red is used for the signal that goes to the Right speaker and the White to the Left speaker. 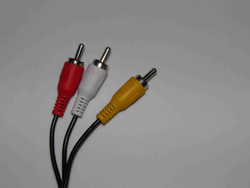 Some devices, DVD readers in particular could have a component video output made of three RCA connector, Red, Green and Blue. These are only for transmitting the image but not the sound for which a Red/White cable has to be used along with the component cable. The connecting set on the left below shows a classic Video (Yellow) + Stereo Sound (Red/White) input while the picture on the right shows that this device can be either connected via its Component video (Green/Blue/Red) + Stereo Sound (Red/White) or Video (Yellow) + Stereo Sound (Red/White). Portable devices are small and cannot accommodate the RCA connectors. They are therefore provided with a 3.5mm diameter compact jack connector that connects audio only (picture on the left) or audio and video (picture on the right). Note well that for audio the jack has three segments against four for a combined audio/video.